Met Opera on Demand subscription or rental. 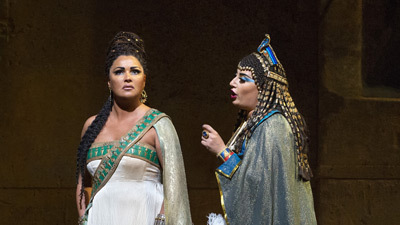 This high-definition broadcast of the Met’s sumptuous Sonja Frisell-Gianni Quaranta production brings Verdi’s beloved opera to breathtaking life. The spectacular sets and costumes, the thrilling triumphal scene, and the newly created choreography by Alexei Ratmansky all frame Verdi’s poignant story of impossible love in an incandescent way. 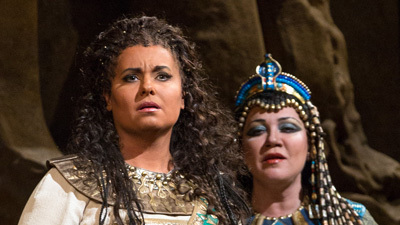 Violeta Urmana is the slave girl of the title who loves the warrior Radamès (Johan Botha). 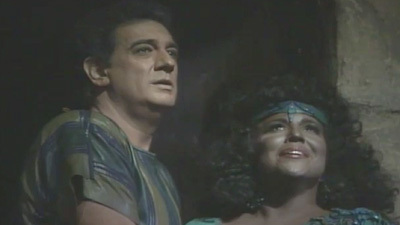 Dolora Zajick sings Amneris, the Pharaoh’s daughter and Aida’s rival for Radamès’s affection. The love triangle ends in treason, imprisonment, and death. The browser you are using is not supported. Please upgrade your browser to the latest version.